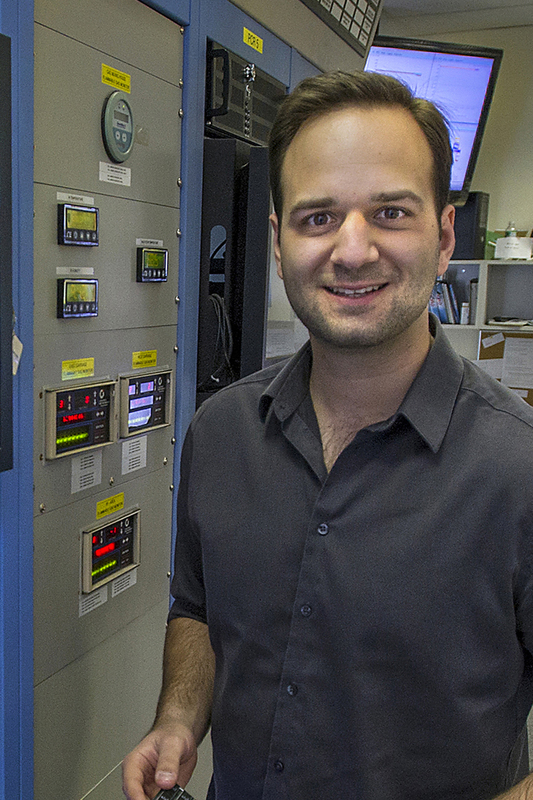 MIT’s Laboratory for Nuclear Science (LNS) has awarded its 2016 Lee Grodzins Postdoctoral Fellows Lecture Award to Heavy Ion researcher Dennis Perepelitsa. At the time of the competition, Perepelitsa was a Goldhaber Fellow at Brookhaven National Laboratory. As he presents the Grodzins Prize Lecture, he has begun a faculty position at the University of Colorado, Boulder. His prize lecture is entitled “Novel probes of the proton wavefunction through collisions with nuclei.” He will discuss how collisions with nuclei have provided unexpected insight into the correlations between the longitudinal momentum and transverse spatial configurations in the proton wavefunction, drawing a connection between heavy ion and hadron structure physics. This lecture will discuss data taken in heavy ion running at LHC and at RHIC. We were pleased to honor Lee Grodzins’ 90th birthday at this lecture.